Why buy a manufactured driveway gate from the big box store that looks like everything else, and lacks the strength and integrity of a custom, durable Everest gate? Call today, and tell us how you imagine your gate will look. 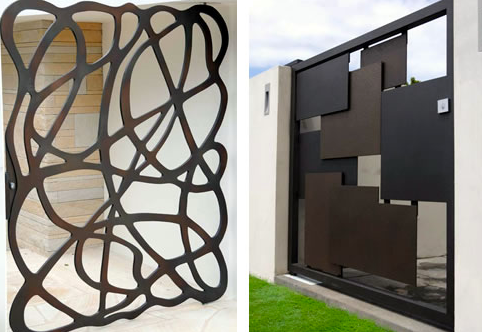 Custom wood gates in Studio City are popular because wood compliments multiple design styles, and it gives a warmer feeling than metal. Whether you have a rustic craftsman home, or a modern house, our team can create any style of gate to compliment your home’s architecture. What Kind of Wooden Driveway Gate can I Get? When our Studio City custom gates team goes out looking for the best examples of the wood specified to make your driveway gate, we pay close attention to the wood’s health, color, grain, and texture. We only use the best materials, so when you get an Everest custom gate, you get a functional piece of art that was made at the highest standards. 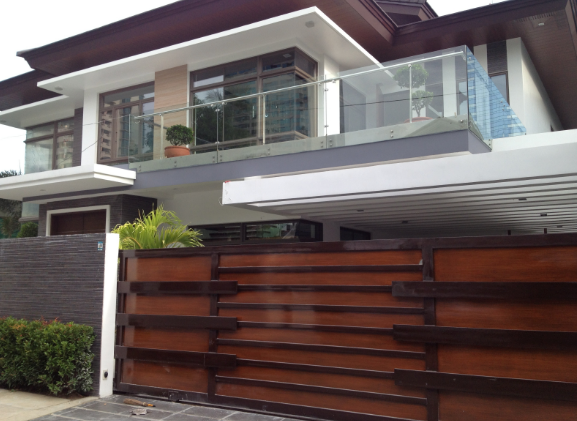 Many homeowner’s who want the metal look and whose driveway gate is located far enough away from the road will opt for a custom aluminum gate because they are lower in cost, the the chance of a vehicle striking a gate located up hill or away from the street is slim. Those whose gate is right off the road tend to go with iron or steel. Our Studio City custom gates team can make any type of gate using any metal or blend of wood and metal to give you the look you desire. If you want a gothic-inspired wrought iron gate or a pine and steel modern industrial sliding gate, we can make your vision come true, and with the highest integrity put into each weld. 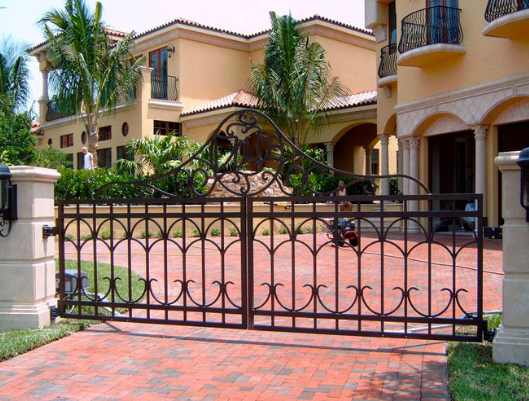 Are Custom Gates Better than Manufactured Driveway Gates? Because all of our Studio City custom gates are locally made to order, our overhead is low because we don’t have to ship long distances or pay for an additional workshop space. This means our prices are low, and many of the custom gates we make cost the same as boring manufactured ones from the big depot stores. Custom Gates by Everest - Protecting Families in Studio City for Over a Decade. We know that your family’s safety and privacy is important, because that’s the way we feel about our own families. That’s why we treat every customer like a family member, and take great pride in making high-quality, luxury gates that fortify your home and give you peace of mind while away for business, or when winding down to go to sleep at night. Give our friendly staff a call, tell us about your property, needs, and the type of gate you imagine protecting your home from intruders. Let’s work together and design something amazing!